Russia’s central bank has acted to reduce the key interest rate from 14 percent to 12.5 percent as the ruble continues to rally against the dollar and euro. "Amid ruble appreciation and significant contraction in consumer demand in February-April 2015, monthly consumer price growth is declining and annual inflation is tending to stabilize," the Bank of Russia said in a statement. According to Bank of Russia estimates, as of 27 April, annual consumer price growth rate stood at 16.5 percent (a 0.4-percent decrease compared to March – RBTH). The Bank of Russia predicts that annual inflation will slow down to less than 8 percent in a year (by April 2015) and to the target of 4 percent in 2017. The reduction of the key rate means that the ruble will soon begin to weaken again, Alpari analyst Anna Kokoreva explained. And this, in turn, will boost the process of import substitution. "Products and technologies will be expensive to import and one will have to look for domestic equivalents, which means that the demand for Russian products will increase," said Kokoreva. 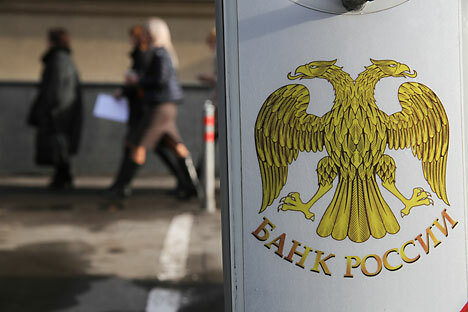 In addition, according to Kokoreva, the reduction of the key rate will allow banks to reduce interest rates on loans to legal entities – by an average of 2-3 percent. "Of course, businesses will feel better," said FBS analyst Kira Yukhtenko. "However, [the key rate of] 12.5 percent is still very high. For comparison, in China, it is about 5 percent. In the coming months, the Bank of Russia is likely to continue to reduce the rate, and the rate may drop to 10 percent," Yukhtenko said. This is the third time this year that the central bank has cut the level of the key interest rate. In total, it has been reduced from 17 percent to 12.5 percent. The key rate was raised dramatically in mid-December 2014 by 6.5 percentage points in an attempt to stave off inflation and the rapid devaluation of the ruble.